A six-hour training course on embracing our imperfections for wholehearted living. Over the past 12 years, Dr. Brené Brown has interviewed hundreds of people as part of an ongoing study of vulnerability. “The research shows that we try to ward disappointment with a shield of cynicism, disarm shame by numbing ourselves against joy, and circumvent grief by shutting off our willingness to love,” explains Dr. Brown. When we become aware of these patterns, she teaches, we begin to become conscious of how much we sacrifice in the name of self-defense—and how much richer our lives become when we open ourselves to vulnerability. Relevent and interesting Review by Pam G.
There is so much information in this set that is applicable to many aspects of life. It is well organized, funny,and easy to listen to in addition to being content rich. I am a therapist and have found this so helpful in my work with clients as well as in my personal life. I've listened to it a few times through now and each time gain something new. 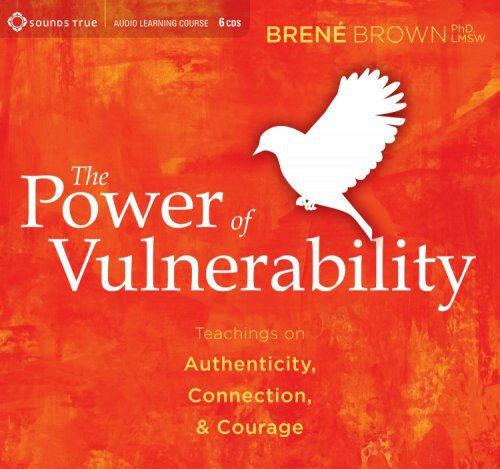 I'm so pleased with my purchase of Brene Brown's The Power of Vulnerability CDs. I've listened to the CDs twice through already and anticipate listening to them many more times in the future. Brene (her way of speaking makes it feel like we're on a first name basis) discusses the link between vulnerability and wholeheartedness, the obstacles we all face that make wholeheartedness difficult to achieve, and, finally, the practices we can put in place to give us a fighting chance to actually achieve wholeheartedness.